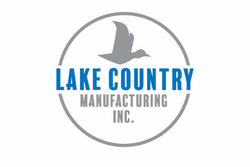 Lake Country Manufacturing has been producing foam buffing pads since 1977 for dual action and rotary polishers. Lake Country is one of the most well-known and well-respected pad makers in the industry with numerous innovations, such as Lake Country CCS Technology. Lake Country pads are available in multiple sizes to suit any detailing challenge. Complementary backing plates by Lake Country stand up to the heat and rigorous demands of machine polishing.